Cowra Japanese Military Cemetery, consecrated in 1964, contains 523 Japanese graves. 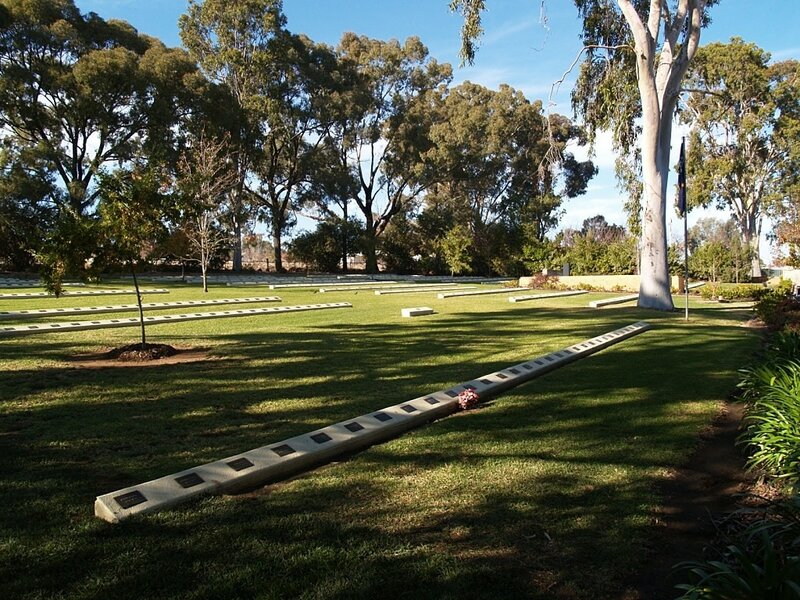 They include 231 graves of prisoners of war killed during the breakout from Cowra Prisoner of War Camp on 5th August 1944, Japanese aircrew shot down in Northern Australia and Japanese civilian internees who died in Australia during the Second World War. 13 of these are unidentified Japanese airmen and 1 is an unidentified Japanese soldier.